THIS IS A SPONSORED POST WRITTEN BY ME. BELLAGREY DESIGNS HAS RECEIVED TRADE, PRODUCTS AND/OR PAYMENT FROM IT'SUGAR IN EXCHANGE FOR PROMOTION. ALL OPINIONS AND TEXT ARE MY OWN. 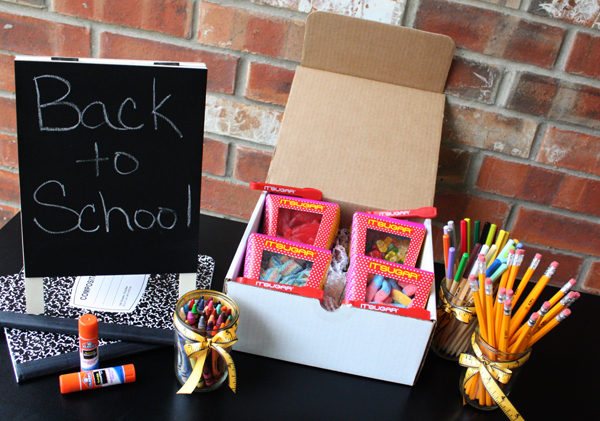 I recently had the opportunity to partner with It'Sugar to create a Back to School Party! 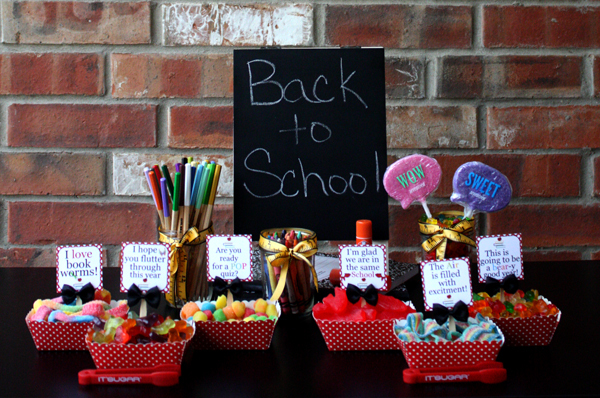 When I first starting thinking about the theme I wanted to create, it only made sense to create a Back to School celebration since so many kiddos, including my own, are going back to school right now. What says party more than CANDY? 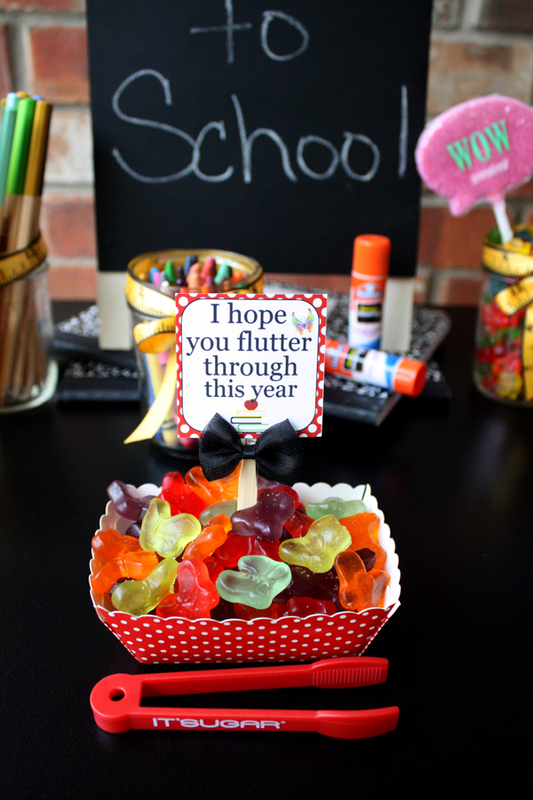 We are showing off two of their candy gift boxes with you today. 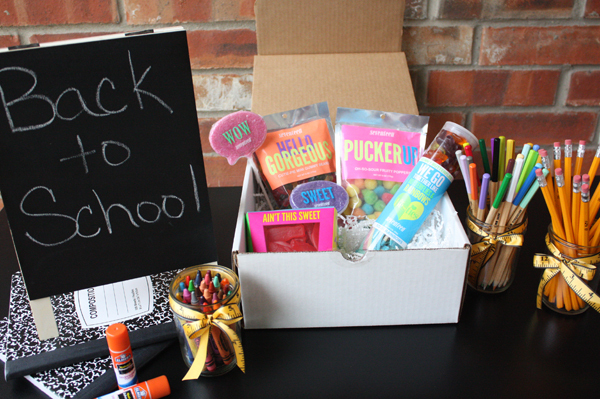 What a great gift to send to a friend or give to your new teacher! 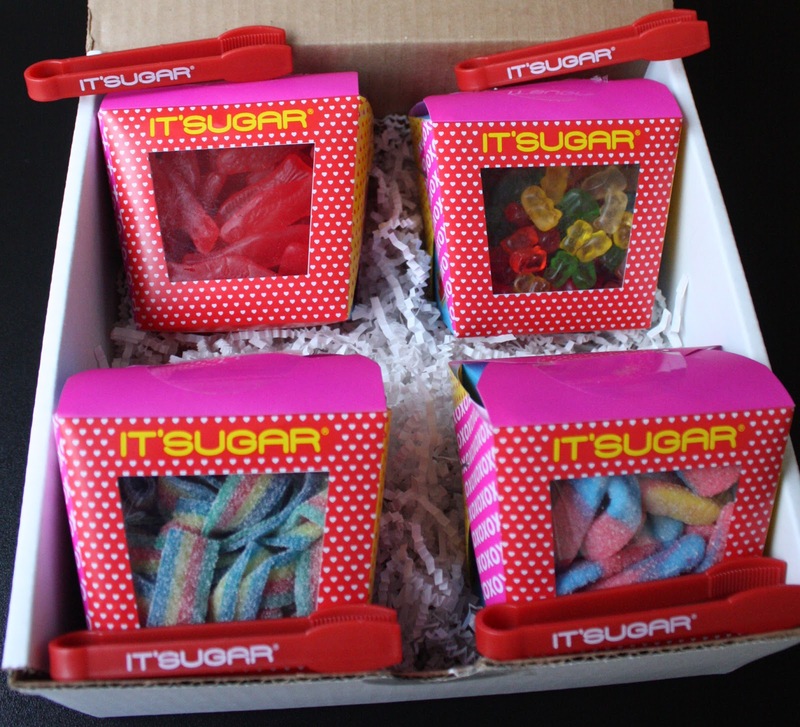 The first gift box is Shop IT'SUGAR.com Love Candy Gift Box! It contains four fun love-theme take out containers. 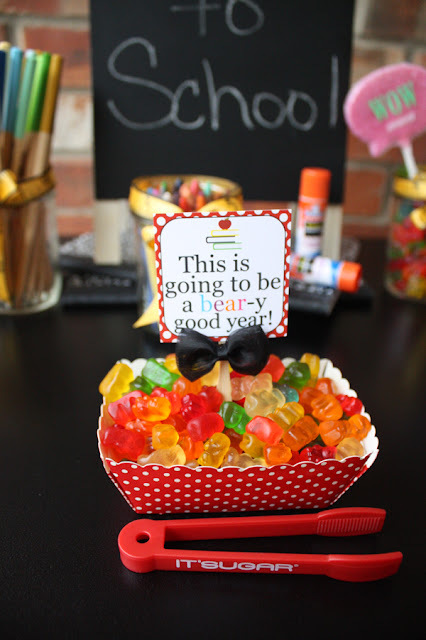 Each has a different type of candy ~ Swedish Fish; Mini Gummy Bears, Rainbow Sour Belts and Sour Gummy Worms. How adorable are these boxes? 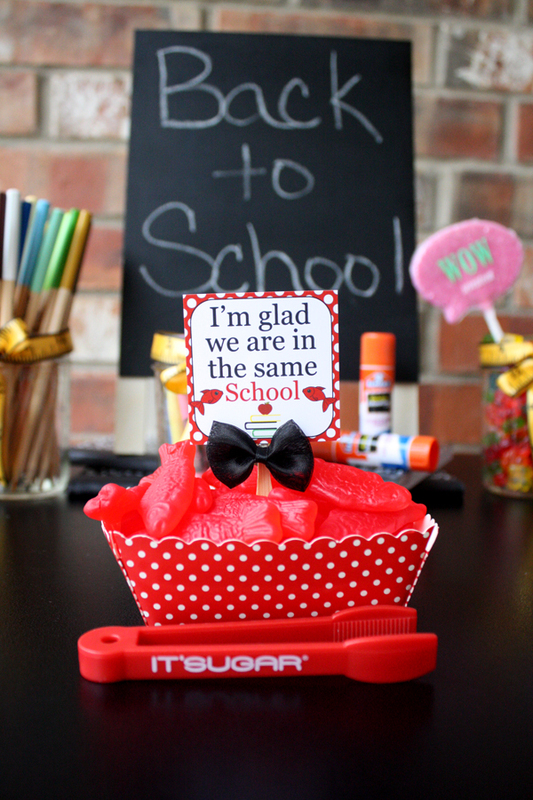 I created some cute coordinating Back to School topper tags which can also be used as favor tags or cupcake toppers for your Back to School celebration. 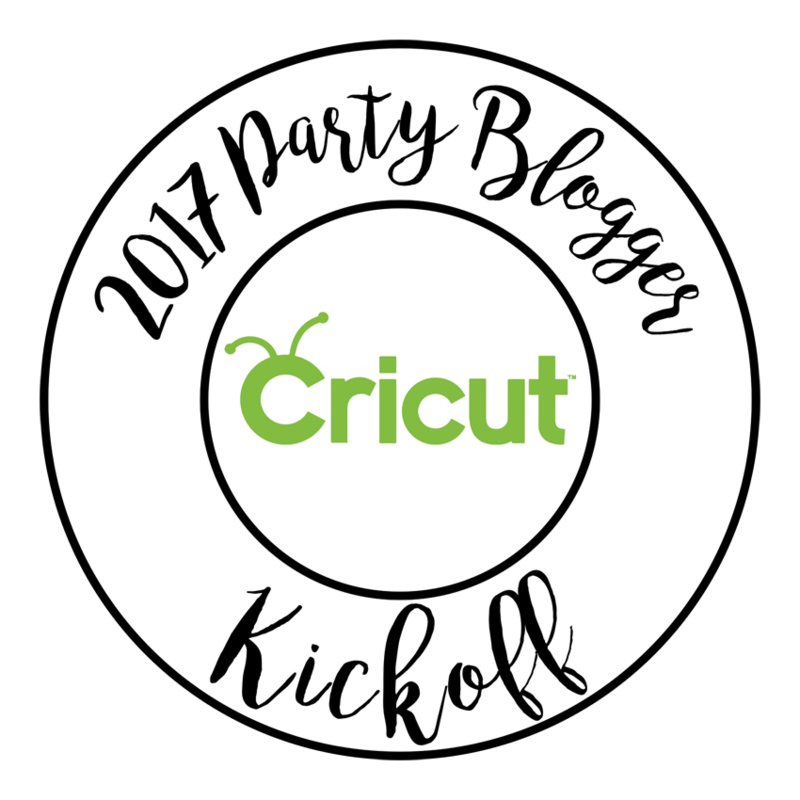 Simply download, print and save for your party. 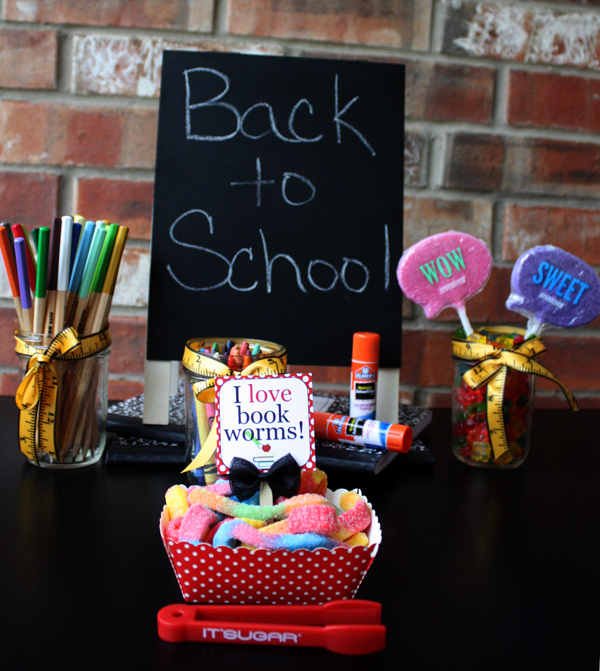 Download the Back to School Topper Tags here. We had the topper tags printed on heavy white cardstock, then simply cut along the edges and hot glued them to bamboo forks. 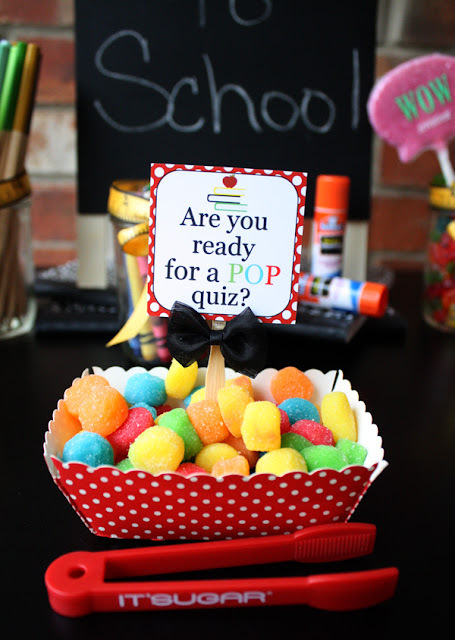 Place them in your candy and you are done! The second gift box is called Shop IT'SUGAR.com for Official "Seventeen" Candy Gift Box! This contains "Hello Gorgeous" which is a bag of mini gummy bears, "Pucker Up" a bag of sour fruity poppers, a tube of Besties candy duo of gummy butterflies and sour rainbow belts, "Sweet" seventeen grape word bubble lollipop and "Wow" seventeen watermelon word bubble lollipop. This would be perfect for your girlfriend! 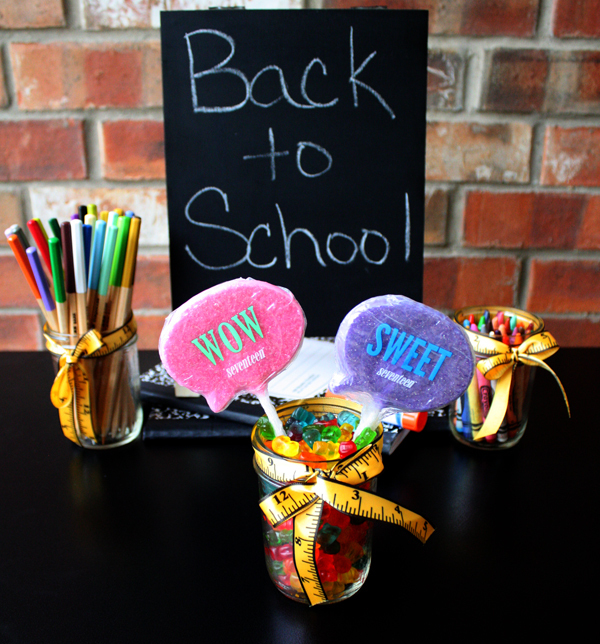 Take some school supplies like pencils, crayons or markers add ribbon to a mason jar, grab a mini chalkboard and some glue sticks and that is all you need for your Back to School party! 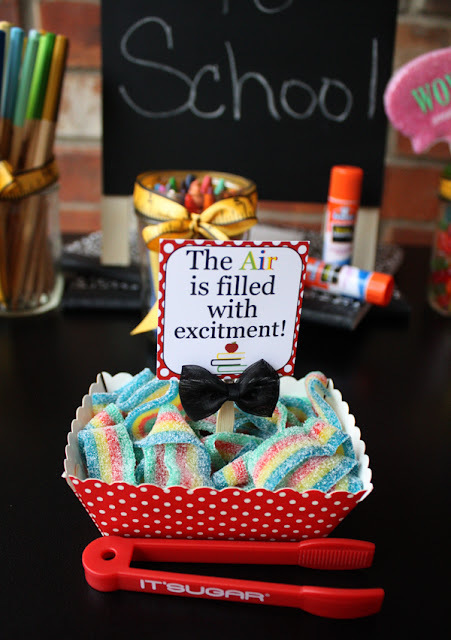 When the candy arrived, it was so soft, fresh and delicious. 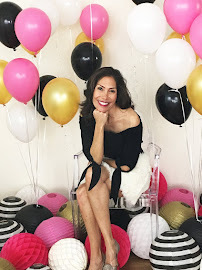 We like taking a trip to our local store when we are styling a party or an event to pick up our favorites. If you don't have a store near you, you can order online IT'SUGAR Sale . You will be amazed by their large selection!